Nasser Al Attiyah won the stage thanks to the problems of Loeb, who can still be third, and Despres. The Spaniard started two hours late. 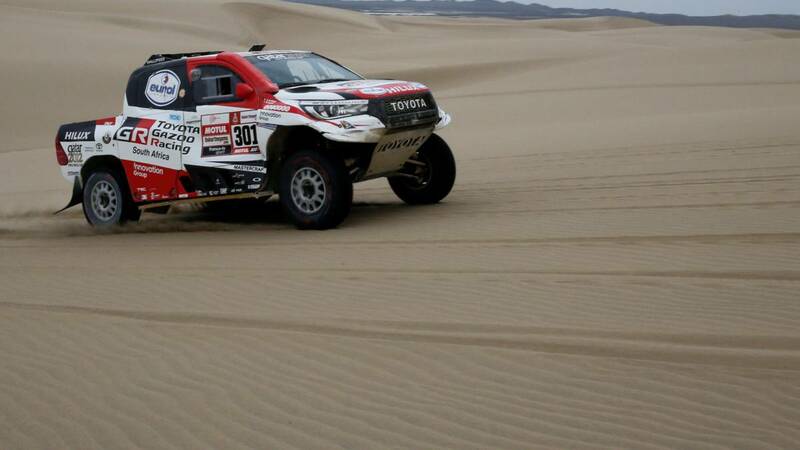 It had to fail Al Attiyah to push the Dakar in cars, but all the others failed in this penultimate stage, perhaps the last decisive one, and the Qatari is 112 kilometers away from celebrating his third triumph in the desert race, the first of Toyota. He won the stage without looking, because Loeb stopped after scoring the best partials and also Despres, who came from behind, overturned in the dunes. Although more traumatic was the farewell of Peterhansel to his career after suffering an accident a few kilometers to start the special that damaged his Mini and especially his co-driver, David Castera. He still aspired to the podium, but he took risks and they stayed on the road. He can get 13 wins in the Dakar if he does not remedy next year, at least Stéphane is not superstitious. Nani Roma, meanwhile, consolidated his second position in the general classification thanks to the problems of Peugeot Loeb and Elena, who aspire to the third if they complete the special in the next hour, like Despres, because if their problems are prolonged the beneficiary will be Przygonski. Although el prize for pride was taken by Carlos Sainz, patient while repairing his Mini by the tomorrow, full of sand in its ducts, he left several hours late to start the special behind the whole caravan because, above all, he did not want to leave. He will defend his crown until the last day.